Palaeontologists have unearthed a previously unknown carnivorous dinosaur in Argentina, which many now believe to be the birthplace of the dinosaur. The dog sized dino is thought to be over 230 million years old, making it the second oldest meat eating dinosaur ever discovered. 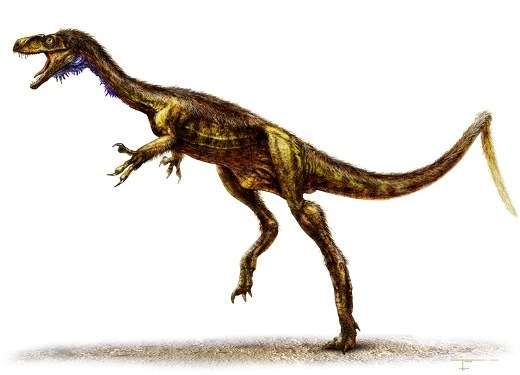 It has been named "Dawn Runner" and is an ancient ancestor of the Tyrannosaurus and Allosaurus. Its discovery is sure to shed light on the evolution of early dinosaurs, particularly the theropods - large bipedal dinosaurs. However, the new species, Eodromaeus murphi, was only 1.3 meters long and would have barely reached the knees of an adult human. But this unassuming little dinosaur gave rise to the theropods, the most ferocious of all dinosaurs. For more information visit Discovery News or watch the short video below.